Here are your best bets for Friday, Feb. 17 at BIFF 2012! Friday, Feb. 17, 5 p.m. This film won the Audience and Best New Director Awards at the Tribeca Film Festival! This film is co-presented by Amnesty International. Its Director, Michael Collins, and its producer, Marty Syjuco, are here with us and will talkback with moderator Shaun McGrath in the Tent after the show! Here's the program description: "This courageous film tells the story of ablatantly unjust conviction of a 19-yearoldboy for a double homicide he didn'tcommit. 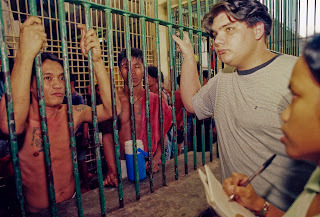 The case brought in the internationalthe international human rightscommunity, which launched a grass-rootscampaign to abolish the death penalty inthe Philippines. This film looks intimatelyat the case of Paco Larrañaga, a studentaccused of murder on the provincial islandof Cebu. In personal danger through muchof the filming, the filmmakers expose aKafkaesque world populated by crookedpublic officials, cops on the take andfrenzied tabloid sensationalism. It's alsoan intimate drama focused on the nearmythicstruggle of two angry motherswho have dedicated more than a decadeto executing or saving one young man." Friday, Feb. 17, 1 to 6 p.m.
Colorado’s Third Annual Digital Media Symposium is the premier showcase of innovators and technology in Colorado’s digital entertainment industry and features national and local visionaries, both creative and technical. The DiMe is a great place to learn and forge new relationships with your peers, brands, executives, developers, content providers and technologists. Dr. Alvy Ray Smith, 2-time Academy Award Winner and co-founder of Pixar, will deliver this year's DiMe Keynote speech. Also, Disney’s Don Hahn, Academy Award-nominated Producer of such digitally-animated films as ‘Beauty and the Beast’, ‘The Lion King’ and ‘The Nightmare Before Christmas,' will moderate and weave together experts in both singular presentations and panel discussions. Reception with live music, hors d’oevres and cash bar to follow. 3. SURPRISE! 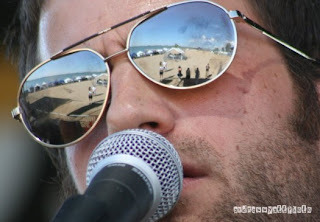 At the Filmmaker Lounge tonight from 9 p.m. to 1 a.m., HOLDEN YOUNG will be playing!